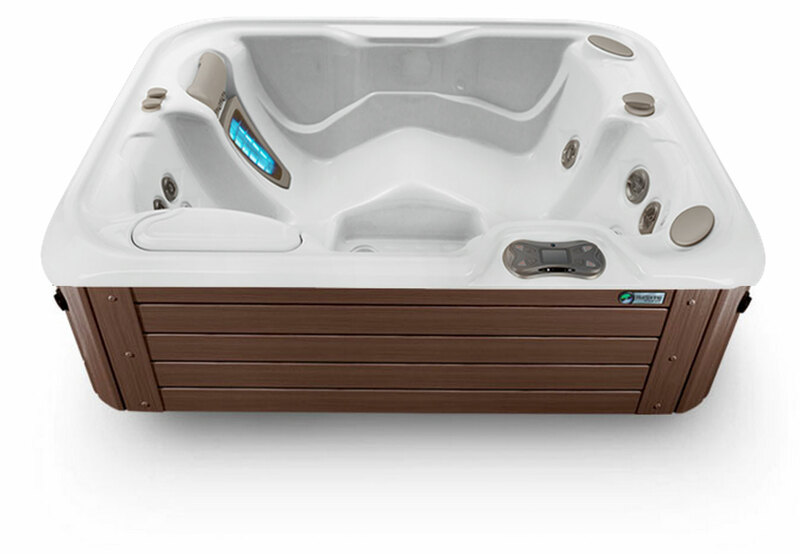 The HotSpring Highlife Jetsetter hot tub is perfect for one, two or three users. The lounge seat has a Moto-Massage jet for your back, Precision jets for your neck and shoulders, and a JetStream jet for your feet so you can relax in style. Two Jet Cluster systems provide additional hydromassage options.